Contact us for availability and fees. 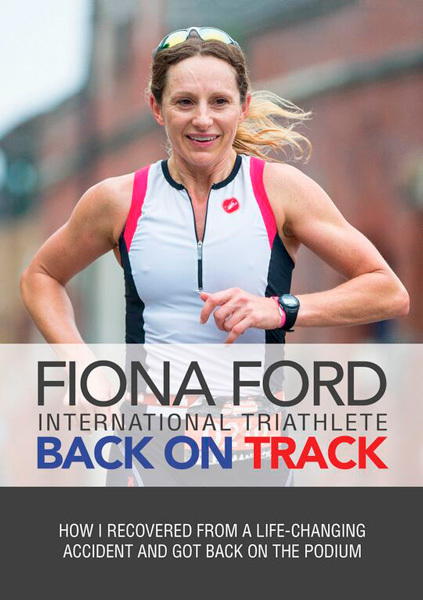 Fiona Ford is a full time sports coach, triathlete and writer. She regularly writes for triathlon and open water swimming magazines and reviews for The Independent online. Fiona has competed in triathlon for over a decade, is a former age group European and World Champion at ITU Triathlon and Aquathlon. For four years she raced as a Pro at Ironman triathlon, with top ten finishes, while working full time running her coaching businesses. Fiona coaches triathletes, runners, swimmers and cyclists to discover their potential using an athlete centric system and latest sports training technologies. She has successfully applied the athletic mindset to set up, create, rebuild and evolve her own business through adversity. A serious bike accident whilst out training in 2012 caused multiple serious injuries that were deemed ‘life changing’. Fiona spent two years on rehabilitation and recovery, going from learning to walk again and resuming her coaching and sport. In 2016, four years after the accident she had raced her way back to the very top of endurance multisport to compete at the Ironman World Championships in Kona, Hawaii and finish on the podium. Recovering and rebuilding a small business after significant setbacks and loss of earnings, clients and opportunities. How to make progress from behind. Back On Track, published by Meyer & Meyer. © READ Media Limited | All Rights Reserved.